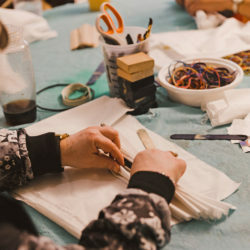 Volunteers stitched up RARE Bears Saturday afternoon in the Spoonflower Greenhouse. 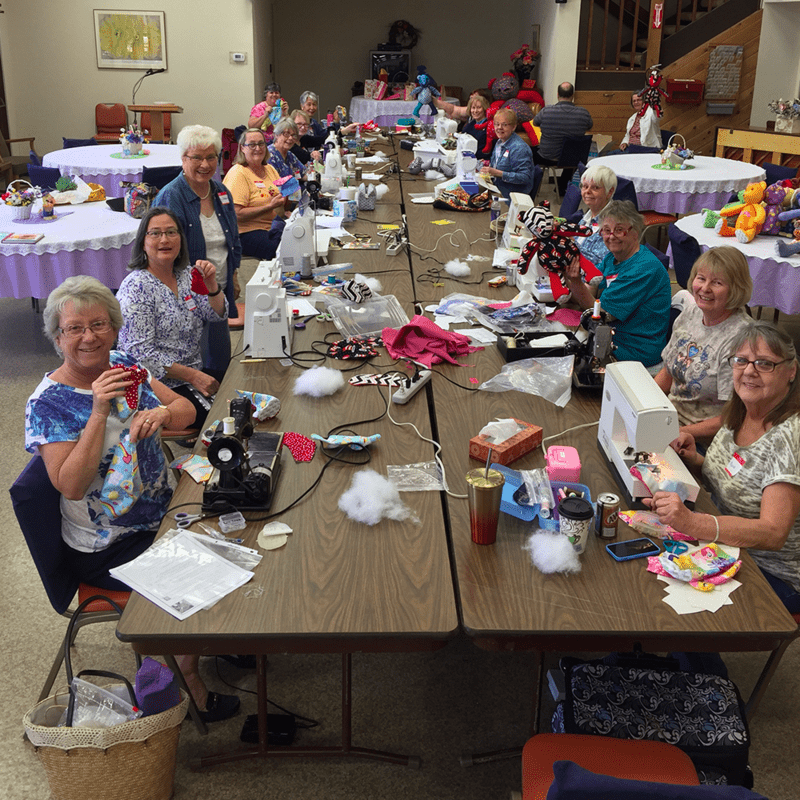 San Marcos, CA quilters spent their afternoon hosting a local RARE Bear sew-in! 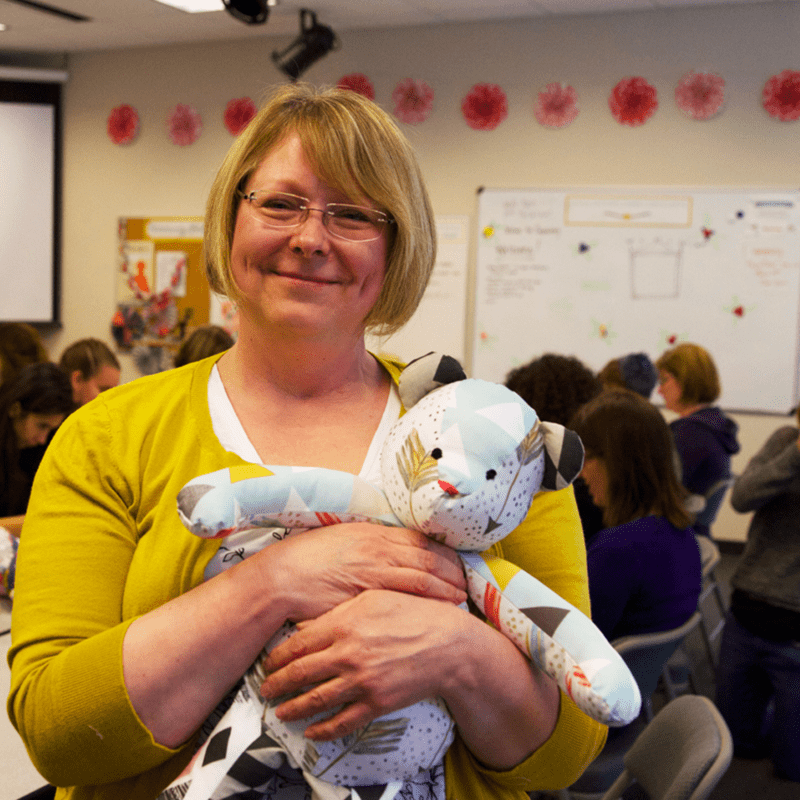 Spoonflower Greenhouse volunteer, Ann, gives her bear one last hug before donating it to RARE Science. 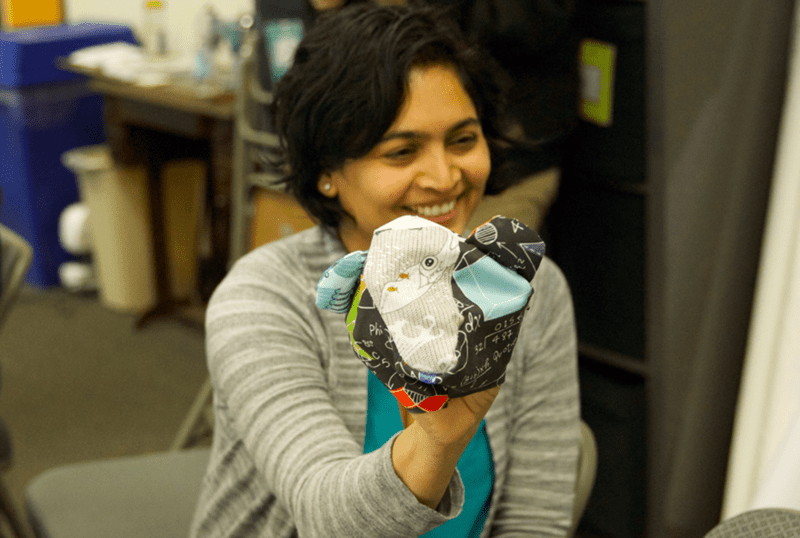 As bears were completed, “oohs” and “aaahs” filled the room with excitement from the cuteness of the stuffed creatures. RARE bears are pieced together with remnant fabric (don’t worry, we’ll always credit the designer for the use of their fabric and will never use a private design! 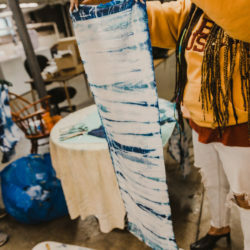 ), making each one just as unique as the child receiving the bear. Adding finishing touches of embroidered eyes and noses brings an extra touch of personality to each bear. 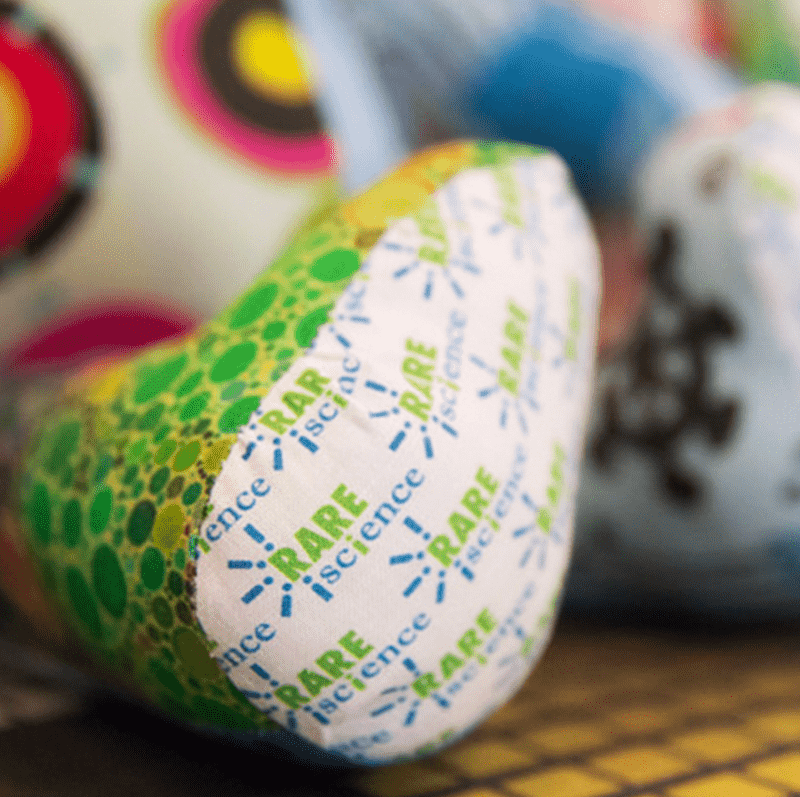 Each RARE Bear is completed with custom printed RARE Science sole fabric, printed at Spoonflower. Specific to RARE Science, each RARE Bear includes a unique ID ribbon to make it possible to send a photo of the gifted bear and child back to the person who carefully stitched up the bear! While Saturday’s sew-in may be over, we encourage you to sew a RARE Bear of your own to donate! 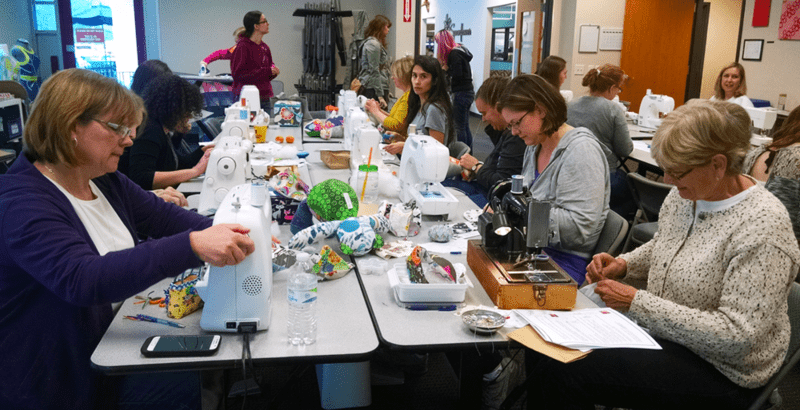 If you are interested in sewing a bear to donate to RARE Science, please click here. Proudly showing off her sewing skills, Anitha is all smiles after getting past the trickiest part of the pattern – the head! If you hosted a RARE Bear sew-in last Saturday, let us know in the comments below or tag your photos with #RAREbeararmy! Thanks so much for the kind words! Ann’s bear really did come to life when she added the adorable pink nose and eyes! We are looking forward to sending our bears to RARE Science in California! 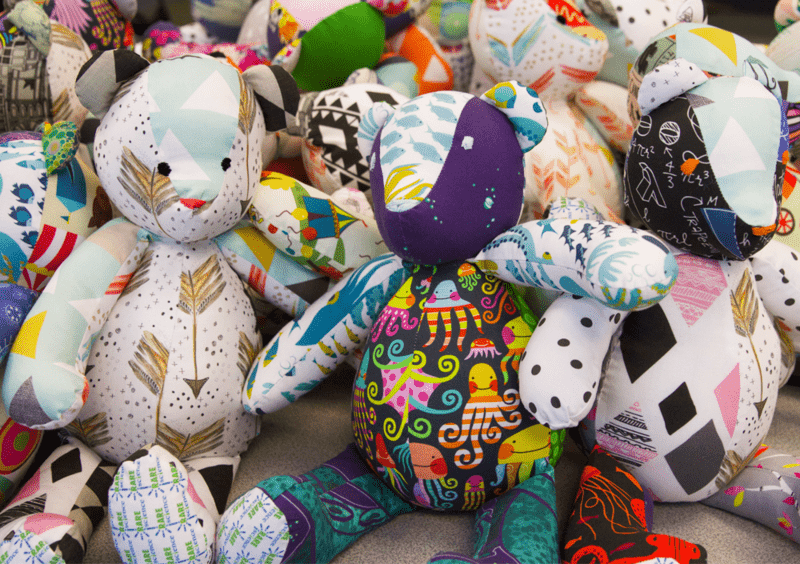 Love the idea of why these bears are made. The best pattern looks just like one I’ve had since the late 70’s that i began making into Victorian bears. Eventually people asked me to make them in other themes (school colors, wedding,Christmas, fishing/hunting for the boys & pink cot breast cancer etc) and just like yours with scraps of leftover fabrics…my favorite has always been the shabby chic scrap bears. The best thing is this pattern is the perfect bear for a child to drag around or cuddle. Great job everyone. We couldn’t agree more! 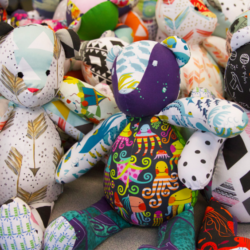 Everyone had a great time creating custom bears with their favorite Spoonflower marketplace designs. 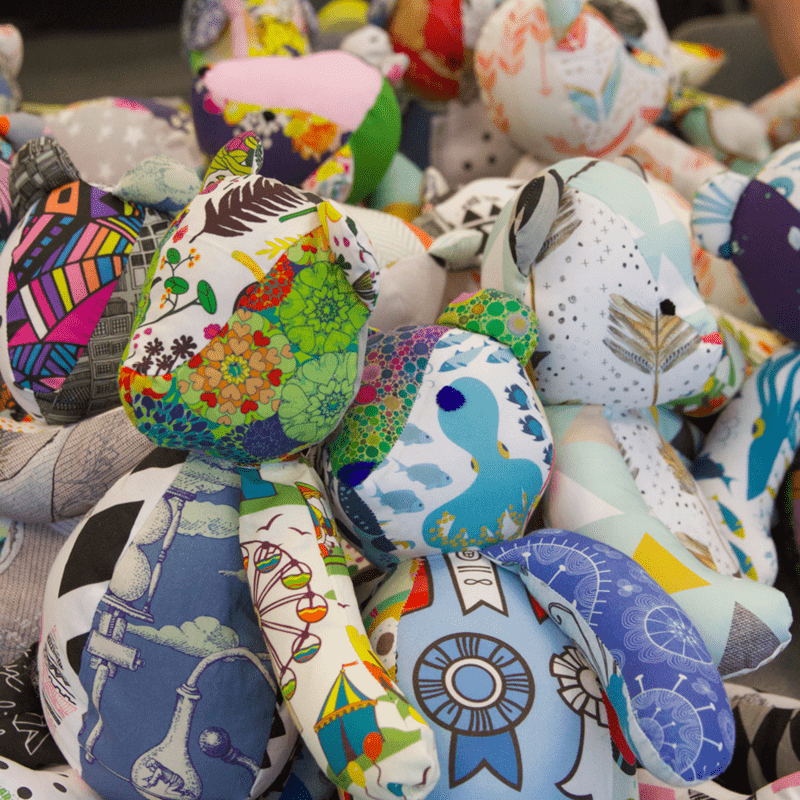 The possibilities are endless when it comes to creating a custom RARE Bear – we even made a few from the themed fat quarter bundles that can be ordered at the end of a Design Challenge!